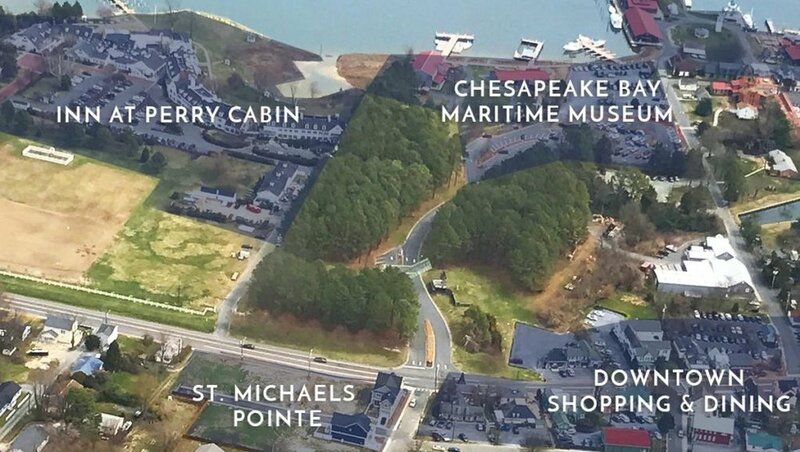 St. Michaels Pointe is a new-construction development in the heart of historic St. Michaels. This new community of fine homes is the first of its kind, allowing access to one of the East Coast’s most desirable maritime villages. All properties include amenities that are hard to find in many St. Michaels homes: generous room sizes, garages, high ceilings, roomy closets and modern open-concept living spaces designed for entertainment. The designs, inspired by the character of historic St. Michaels, are energy efficient and compliment the historic facades of the town. A walk score is a walkability rating for an address within the US. A higher walk store indicates more options within walking distance to your home. Click here to view St. Michaels Pointe's walk score today!